How well are we applying the patrol system? I often ask myself this question and I am constantly looking for ways to improve the experience for our Scouts. 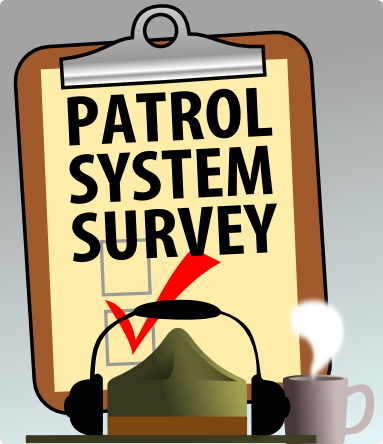 I’ve set up a patrol system survey to see how the patrol system is used in other troops, ( there aren’t any ‘right’ answers). The Survey is closed – look for an analysis and report later this week. Great survey. I would like to pass this on to our boys and their SM if that is ok with you? This is a GREAT set of questions. I could answer it, but I’ve forwarded it to our SPL. My two sons are in a new troop because we moved from Rhode Island to New Hampshire. At this time, most of the troop is run by adults. The scoutmaster is retiring in October and I will have the pleasure to take over the position. I have been in scouting for a long time and this will be the first time I attemp this position. I have been listening and reading everything you have done. And the one thing that I will put in place will be a patrol council and have the scouts be in charge. Keep on scouting, people like you make a difference.